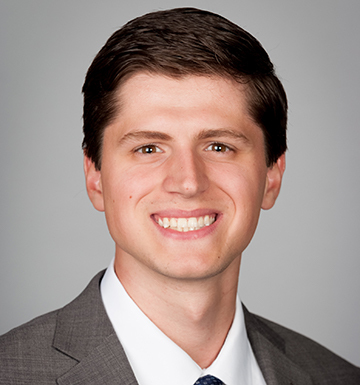 Alec Wohlever is a Sales Executive for Horton’s Employee Benefit Solutions. In this role, Alec is responsible for providing expert employee benefits consulting, bringing new clients on board, and servicing and retaining existing clients. He is part of a team of employee benefits-focused specialists dedicated to delivering innovative healthcare solutions to employers. “An employee benefits broker should be a client’s trusted advisor in a space full of complexity and uncertainty. Working with a client is a partnership rather than just a business transaction.” It is with this mentality that Alec is able to help his customers achieve a higher level of performance. Alec truly appreciates “having the opportunity to partner with clients and make a meaningful impact within their organizations that improves the lives and wellbeing of their employees.” Being young, he expects himself to inject lots of energy and an innovative mindset while upholding Horton’s values of driven, excellent and togetherness. Alec is from Clarendon Hills, IL and enjoys hiking and golfing. In his outdoor activities, his current list includes the following milestones: backpacking the Rockies, Appalachians, and the Himalayas.